First things first, you need to keep in mind that not all cleaning business names are available, some may already be registered. To check that out, you can visit the USPTO (United States Patent and Trademark Office). Then, all you need to do to register your own cleaning business name is to go down the local County Clerks Office (either for sole-proprietor or LLC registrations). There’s just so many options! So, what makes some cleaning business names better than others? How are you going to think of and register a great name for your cleaning business? What do you need to have in mind when doing so? Your cleaning business name is going to be the very first thing a potential customer sees and hears, the first thing that gets him in touch with your business. Cleaning business names that are more common than not, are easily forgotten or not given that much of attention. Typical cases such a reaction will be triggered are cleaning business names that pose the owner’s name as their brand i.e George’s Cleaning Services. This happens because cleaning business names such as that one are not as easy to brand. However, it’s not all that bad to name your cleaning business after your own name. It does give a personal tone and especially if you’re working locally, it might not be that bad an idea after all. To make a good first impression, your cleaning business name must be as short and memorable as possible. You’ll want to catch your prospect’s attention and imprint your cleaning business name. You want your business to be the first thing that comes to mind when he or she will eventually need your services. Does it clearly indicate the purpose of your business? Is it different? Does it stand out from the crowd? Is it pleasant to hear? Is it neutral? Does it keep a distance from political, religious, sexist or other social matters that cause conflict or difference of opinion? Is it a name you are proud of, a name you can could easily imagine being owned by a large business? Then, you’ve got yourself a brand-able cleaning business name. Take your time with this step as your decision will be final. You can’t just change your business name down the road without suffering great losses. Not to mention all the paperwork and fuss needed. Is it just the name itself that matters with first impressions? Absolutely NOT. If you’re displaying your cleaning business name (flyers, business cards etc), you’ll want to have a cool logo to accompany your awesome cleaning business name. This is vital as no matter how cool your name is , if you don’t use a proper logo for it, you’re practically leaving money on the table. When asking for a logo design, make sure you have established the basic colors you’ll build your logo AND your whole brand around. Generally speaking, blue is perfect for branding. It symbolizes trust and confidence. Red is another great option (maybe along with black). Red is the best color (by far) to grab attention. It symbolizes energy, strength, power, determination. Black is associated with elegance and formality. When picking up a name, it would be a great idea to check online for domain name availability. You can use a service like GoDaddy.com or NameCheap.com to find out if a, corresponding to your name, domain is available. Make sure you check for variants as well. Register your domain as fast as possible when you find it and consider building a website at some point using the colors and style of your brand. The first thing you need to do is think of 10-20 or more words that are relative to and can potentially produce cleaning business names if combined. You can consult our list of cleaning business names below to get an idea and then try to come up with a unique, high brand-able name, following the guidelines mentioned in the very first paragraphs of this very article. Coming up with cleaning business name is really fun, you’ll definitely enjoy the process. That’s a bunch of them. Are you starting to come up with cool cleaning business names now? Well, hopefully you are! Please, keep in mind that we can’t tell for sure if a particular name in our list is already in use and/or is copyrighted. You should only consult the list to pick up ideas in order to come up with various cleaning business names yourself. If you like, you can send us your ideas to add on the list. Good luck finding a cool name for your cleaning business! Previous post: Cleaning Contracts. 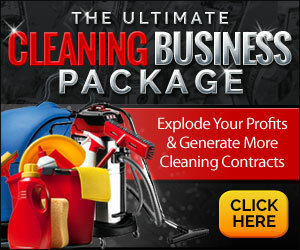 How to get Cleaning Contracts.